Country superstar Craig Morgan will perform at the West Georgia Technical College Foundation’s annual Black Tie & Boots event on Saturday, August 3. For more information about the event, please contact WGTC Foundation Executive Director Kelsey Jones at kelsey.jones@westgatech.edu or 404.807.2038. More information is available online at www.westgatech.edu/black-tie-boots. West Georgia Technical College, with campuses in Carroll, Coweta, Douglas, Haralson and Troup counties and class sites in Heard and Meriwether counties, offers more than 120 associate degree, diploma and technical certificate programs of study. A unit of the Technical College System of Georgia, West Georgia Tech is the fourth-largest of the state’s 22 technical colleges. For more information, please visit www.westgatech.edu. 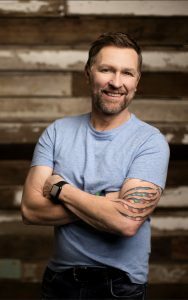 Craig Morgan is a proud member of the Grand Ole Opry, a recipient of the Army’s Outstanding Civilian Service Medal, an Army veteran with 17 years of service, a multi-faceted artist with 25 songs charted on Billboard, and the owner of The Gallery at Morgan Farms in his hometown of Dickson, TN. For more information, please visit www.craigmorgan.com.